Gautam ,graduated with honors from Princeton University, and followed it with an MBA from IIM Ahmedabad. Prior to co-founding Samara, he worked with Citigroup's Corporate & Investment Banking business in senior leadership roles. He's a native of Delhi and is an amateur middle distance runner. Abhishek is an Investment professional with deal making and portfolio management experience across sectors such as industrial, logistics, consumer, healthcare and banking. He has been with Samara for over 10 years and has risen from an Associate to a Director level. He has built deep sector expertise and strong relationships across for his focus sectors. 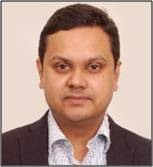 He has been instrumental in strengthening the proprietary deal sourcing network of Samara. 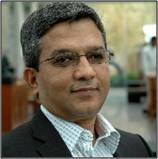 Prior to founding Xponentia, Devinjit was Managing Director of The Carlyle Group. In over a decade at The Carlyle Group, he led and was involved with several successful investments in India .Previously, he spent over 18 years at Citigroup in various capacities & rose to the rank of Managing Director and Head of Mergers and Acquisitions for Citigroup India. 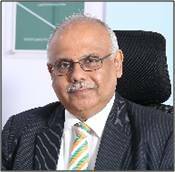 A veteran of the private equity industry in India, with over 26 years of investment experience. 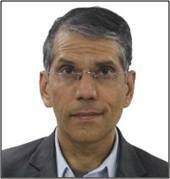 Prior to co-founding Xponentia, he served as India Region Head and Managing Director of Citigroup Venture Capital International & was a co founder of HSBC Private Equity in India Mr. Srinivasan began his career in 1986 as an engineer at Hindustan Aeronautics Limited, an Indian defense contractor. MD & CEO - Spoton Logistics Pvt Ltd.
Has over 28 years of experience in the logistics, entertainment and consumer products industries. Previously the Managing Director of the $100 million revenue Indian arm of TNT, where he was instrumental in growing the Indian business. Prior to this, held several senior executive and board positions at RPG Enterprises and Hindustan Unilever.